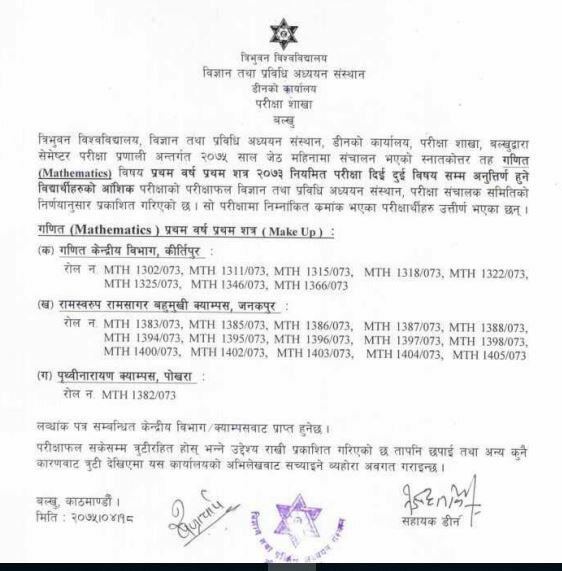 Tribhuvan University, Institute of Science and Technology, Dean Office, Exam Department, Balkhu has published the Make Up examination result of M.Sc Zoology I Semester and M.Sc Mathematics I Semester. The results are as per Grading system. 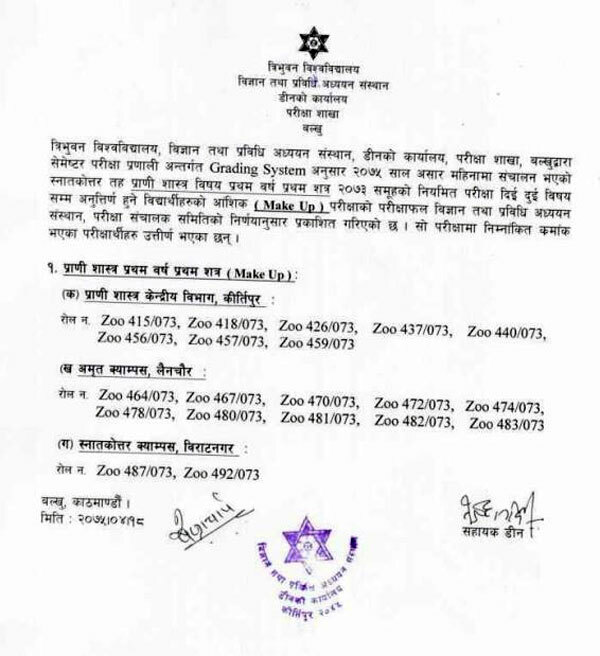 These examinations were held on Ashadh 2075 month for Zoology and Jestha 2075 for Mathematics.